The team over at Dennaton Games have announced the release date for the highly anticipated level editor for Hotline Miami 2. The dance-club murder fest action game has become somewhat of a cult classic in indie and mainstream PC gaming communities for its pulse pounding action, brutally hard challenge level, and rich story-telling. Fans have been looking forward to getting their hands on this editor since the game was released back on March 10th 2015, and now we finally have our chance to check it out! The release date for the Hotline Miami 2 level editor will be on December 10th. This is for the BETA version and it will appear on STEAM only, as this will give the developers access to the forum which will make it easier for them to trace system bugs. Since the series ended with Hotline Miami 2, this is an awesome way for the fans to get more Hotline Miami, and the games creators watch the community put their spin on different levels and stories. The only thing i am really bummed about is the fact that you can’t add your own music to custom levels (that Perturbator or Carpentur Brut playlist i was going to make will remain a dream). Though this will be hard for fans, you have to understand the legal limitations in play here and it makes sense why they wouldn’t be able to include it since people will be sharing the levels(music) online. Despite this, I am still really excited and think this is going to be an awesome release. 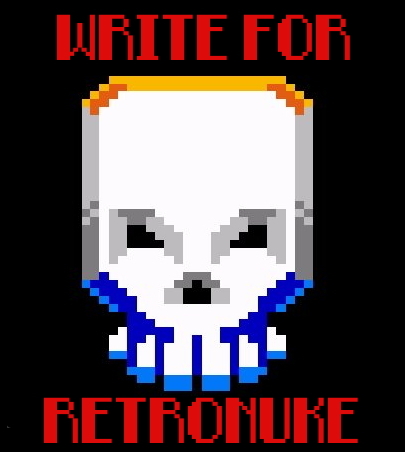 I personally cannot wait to see what the fans, my friends, and myself can create with the Hotline Miami 2 level editor. Take a look at what the Hotline Miami 2 level editor will feature below (from Dennaton). 1. The beta is on STEAM ONLY. The forum makes it easier to gather bugs and the automatic update makes sure everyone is playing the correct version. 2. The beta is WINDOWS ONLY for now. The editor will support Mac and Linux later on. No editor for PS3, PS4 or Vita. 3. WORKSHOP IS NOT AVAILABLE AT THE BEGINNING but will be added later. Levels can be shared locally by sending the level folders around. 4. EVERYONE CAN GET ACCESS TO THE BETA WITHOUT INVITE! So we don’t need your Steam information or anything, you do this yourself when it’s available. More info on how you do that on release date. 5. ALL CONTENT IS AVAILABLE FROM THE START (some minor features will be added later). 6. NO PROMISES THAT LEVELS MADE IN THE BETA WILL CARRY OVER TO THE FINAL VERSION. Things will change during the course of the beta as we fix and update the code, so no promises that levels will stay the same or survive the whole trip. 7.THE PLAN IS TO HAVE THE BETA OPEN DURING DECEMBER TILL EARLY JANUARY and then have final version out shortly after that. 8. NO CUSTOM MUSIC EDITOR. If we let people get free music when they download levels we are viewed as a illegal file sharing tool. There is also impossible to make sure that if people added a track that the artist of that track is cool with the fact that he/she/they are in HLM. 9. NO CUSTOM SPRITE EDITOR from us but other people have already created their own and they work great. 10. The plan is to have VIDEO TUTORIALS up before the 10th (or quite soon after) but I think you will figure out most of it without our help. Are you excited for the release of the Hotline Miami 2 level editor? What kind of blood thirsty levels will you create? Let us know your thoughts in the comments section below!